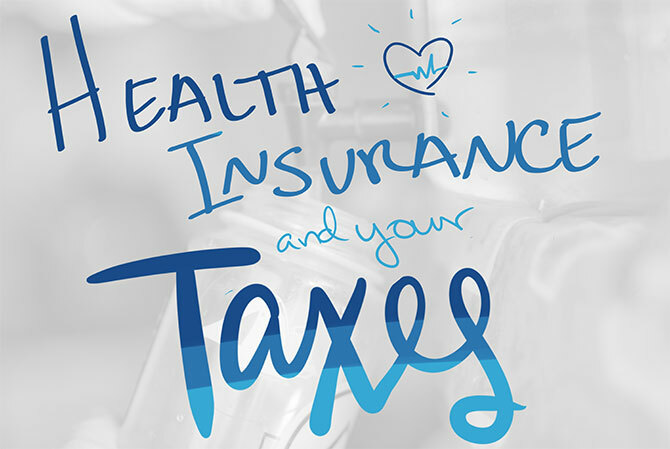 Medical insurance is definitely a hot topic at the moment – but even if we can’t really predict where it will be in a few months, we can help you navigate reporting your health coverage on your taxes. The two biggest questions people usually have are whether or not they’re going to get the premium tax credit, and whether or not they’ll have to pay the uninsured penalty (officially known as the shared responsibility payment). Time to simplify – let’s start with whether or not you had health insurance during 2016. You never went without insurance for more than 3 months in a row. 2.5% of your yearly income, whichever is more. These are the maximum amounts you’ll pay per person, per year. If you have coverage or an exemption for part of the year, though (more on that below), you’ll only pay part of the annual fee based on how long you were covered with insurance or an exemption. Filing with 1040.com means you won’t have to do the math – we’ll take care of that part – but the penalty amount will be subtracted from any refund you might have been expecting. Were you insured for 9 or more months? Gather your short-term gap exemption and pass go. Same thing goes if you didn’t have insurance for more than 3 consecutive months but can claim one of the other exemptions for the time you weren’t covered. If you can’t claim any of the exemptions, you’ll have a shared responsibility payment. However, if you had coverage through the Marketplace you may qualify for the premium tax credit, which helps you pay your insurance premiums if your income is below a certain amount. You’re good to go! You avoid the penalty and, like we mentioned above, you may qualify for the premium tax credit if you had Marketplace coverage. You’re going to receive a form 1098-A from the marketplace to help us calculate whether you qualify for premium tax credit (PTC) and how much you’ll get. Now, it’s possible to get advanced PTC payments to offset your premiums, so you might have already used some of the credit. You enter the data; we’ll crunch the numbers: If your total credit is greater than any advance payments you received during the year, then you’ll claim that excess credit on your taxes. If it’s less, you may have to pay back some of the money you received in advance. So that’s health insurance for you taxes, as simple as it comes! If you want to do even more digging into the subject, check out our Tax Guide for the ins and outs of the ACA.